The nonprofit Salty Dawg Sailing Association (SDSA) invites all sailors to join a cruising rally from the Chesapeake to Maine and then, for the first time, a second rally from Maine to Nova Scotia. Enjoy a Downeast Adventure to "chill" in the cool weather, coastal beauty, and culinary delights of Maine. Then, sail on to witness Maritime Magic in the land of Celtic music on Nova Scotia's Cape Breton Island. 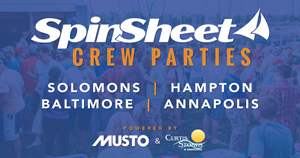 Some cruisers will join the SDSA fleet in the Chesapeake Bay and follow the route of both rallies to the Maritime Province. Others will join along the way. All are welcome. The Salty Dawg Rally to Maine will leave the Chesapeake Bay on July 8 and the Rally to Nova Scotia will leave Rockland, Maine on August 8. Stops along the way to enjoy quaint villages, local cuisine and maritime lore are part of each rally. "We are excited about extending the reach of our rallies this summer, returning for the third year to Maine and then adding a new rally to Nova Scotia's Bras d'Or Lakes," said SDSA Director of Rally Management Rick Palm. "With Sailing CBI, Inc. as our host in Canada, the Rockland Yacht Club as our host in Maine, and veteran Salty Dawgs volunteering to help along the way, we are confident that both rallies will provide unforgettable experiences for everyone who joins in the fun," he added. 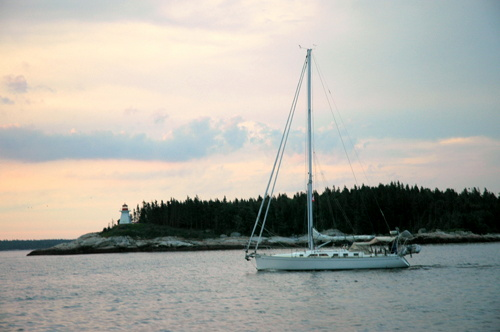 The Salty Dawg summer rallies also offer an opportunity for those planning to go to the Caribbean in the Salty Dawg Fall Rally to gain offshore experience with the support of experienced passage-makers and at the same time, to enjoy the cool weather, beauty and flavors of Maine and Nova Scotia. The Fall Rally to the Caribbean - Departure November 3 - Sign up now for Early Bird Specials on free rig inspections from M Yachts and free sail inspections from Quantum Sails. For details, go to this early bird specials page. For more information, visit the Salty Dawg Sailing Association web site. Fun, friendships, camaraderie….social events to give you an introduction to like-minded cruisers who will become life-long friends. Weather routing services, pre-departure briefings, and daily updates by Chris Parker of Marine Weather Center. On-line tracking on the Salty Dawg “Follow the Fleet” web map hosted by OCENS. Shoreside coordination and communication by experienced Salty Dawg volunteers. A radio net facilitating communication among the boats in the fleet. A cruise-in-company support system where veteran participants offer advice and counsel to others. The lowest possible entry fee with the greatest possible payback as a result of the support of over 40 sponsors and dozens of experienced cruisers who volunteer their time. With an emphasis on safety, communication, education, and camaraderie, over 650 boats and more than 2,500 sailors have participated in Salty Dawg rallies since the organization was founded in 2011. Membership in SDSA is available to anyone interested in blue water sailing. For more information and to join the Salty Dawg Sailing Association, visit the SDSA web site.